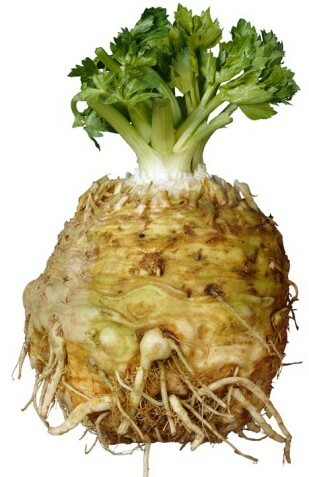 Celery Root. AKA Celeriac. Its a gnarly looking thing! But underneath that rugged exterior is fresh tasting, vitamin and fiber packed yummy-ness! The flavor is kind of a mix between celery, parsley, and potato. The first time I made it I was pretty intimidated by it so I had to watch a video demonstration on how to cut this thing up- check it out here. 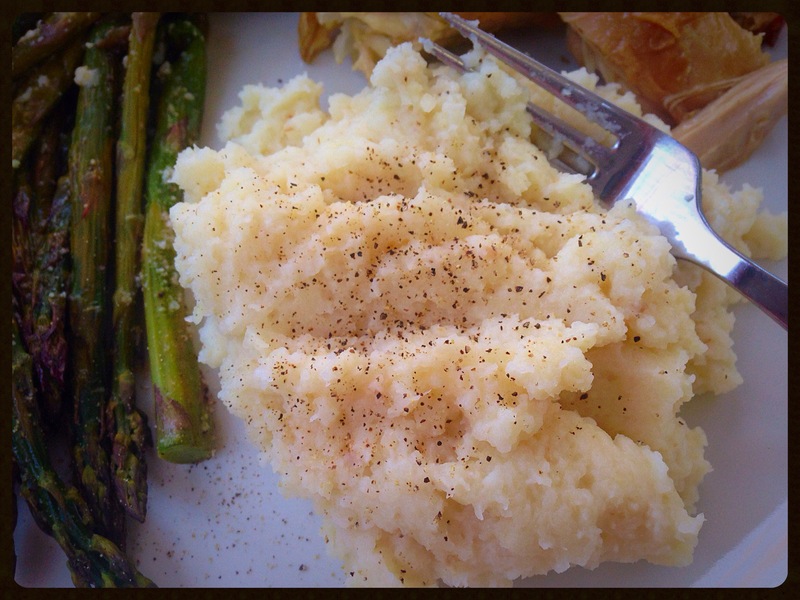 Mashed celery root is fabulous, but it also goes great mixed in with mashed potatoes and you may find it easier to serve to your kids that way. I’ve seen that you can also mix it with mashed cauliflower, but I haven’t experimented with that one yet. But anyway you serve it- you’re gonna be surprised by just how great it is! Optional- 2-4 Yukon gold potatoes, scrubbed and quartered (I leave the skin on). **If you choose to add the potatoes you may need to increase the amount of milk or Greek Yogurt to get your desired consistency. Peel and chop the celery root into 2 inch pieces. Place pieces in a large pot of water and bring to a boil. Cook till tender, approximately 30 min. *If you added potatoes- just throw them in the pot with the celery root. 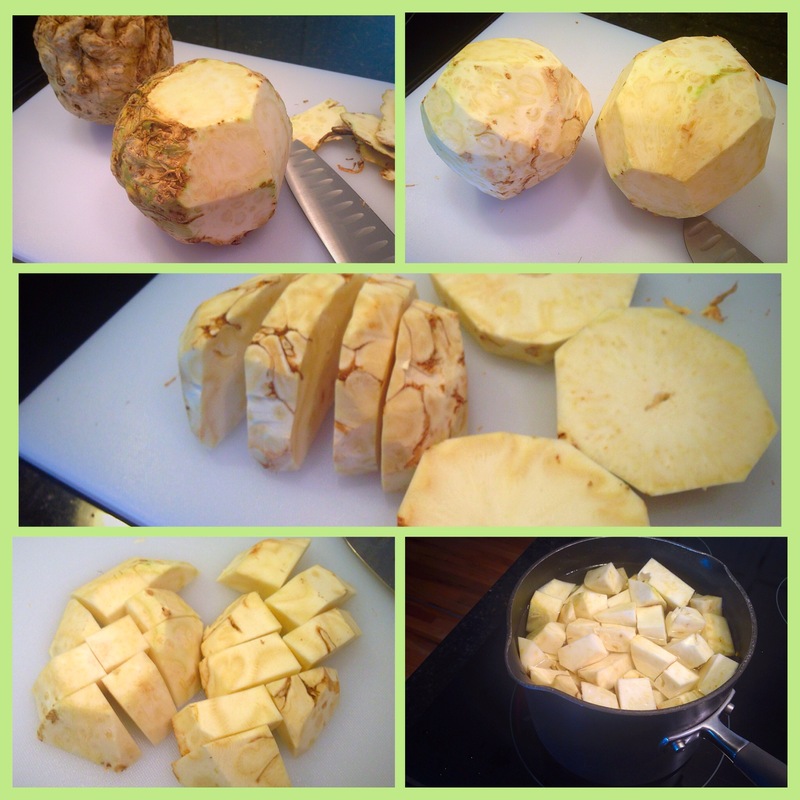 Once pieces are tender, drain cooking water and return the celery root to the pot. Add remaining ingredients and mash with a potato masher. I like a creamier consistency, so I used my immersion blender afterword, but a hand-mixer would work just as well. Salt and pepper to taste. I served this along with a Rotisserie chicken I picked up at my Co-op and roasted asparagus. 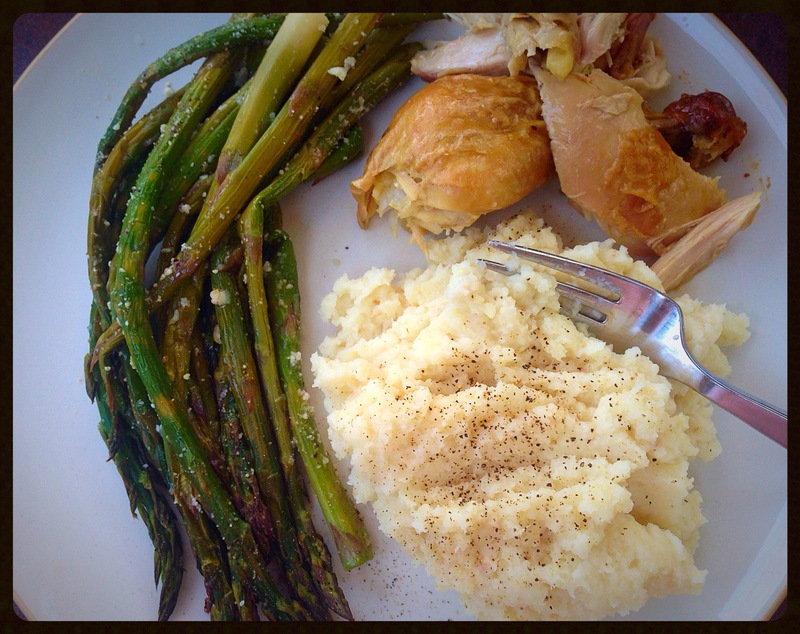 Asparagus in the oven is a really easy way to prepare and it tastes fabulous! Preheat oven to 400 degrees. Wash asparagus and cut any wood y parts off the bottoms. Line a cookie sheet with foil and spray generously with olive oil. 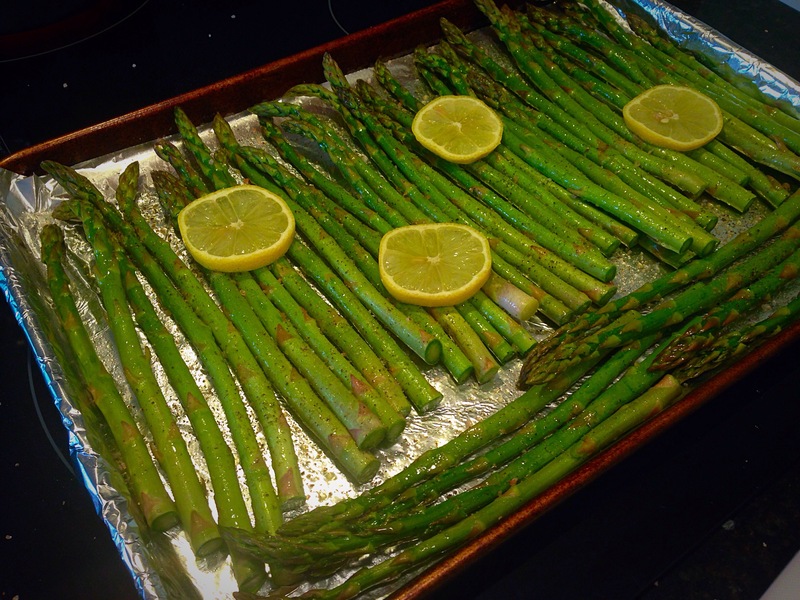 Lay the asparagus spears out on the cookie sheet and spray them with olive oil so they are well coated. Season with salt and pepper. 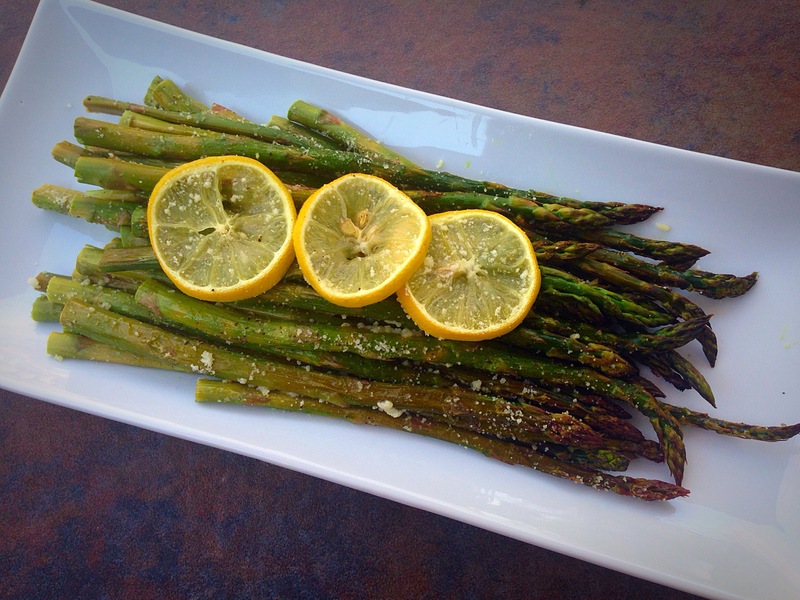 Slice half of the lemon and arrange the slices on the asparagus. Squeeze the remaining half over the asparagus. Bake for 20-25 minutes, until tender. Remove from oven and sprinkle with parmesan cheese. Serve immediately.